Above is a great infographic on the benefits of concrete flooring. 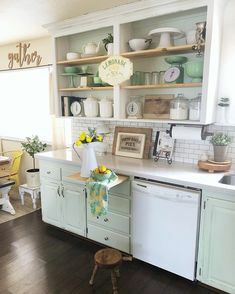 I personally would love to install concrete flooring in my kitchen one day. It offers a cool sort of sleek/modern or even rustic look. I also love me some concrete countertops, both are pretty darn cool looking. Plus you can soften the look up a bit with some rugs depending on your style, decor, and vibe you are going for. I hope you find this infogrpahic helpful if you are thinking of concrete flooring or if you have it already.